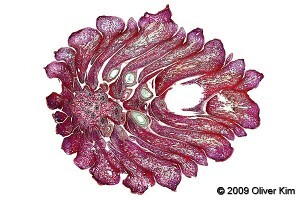 Microscopic image of a female pine cone (Pinius). 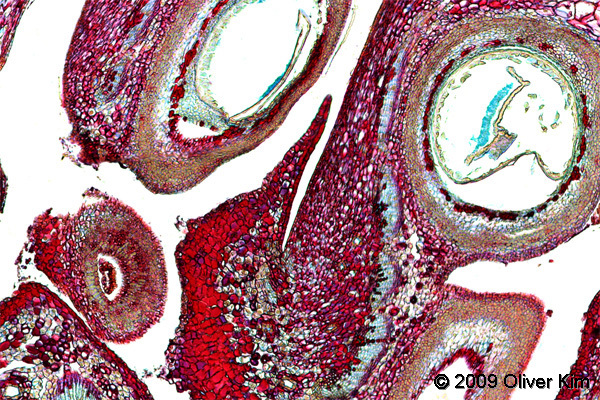 The image on the right shows the longitudinal cross-section of the female cone of a pine tree (Pinius). The specimen size is approximately 20mm from left to right, so I had to assemble several individual pictures together to produce the final image. The resulting original image is quite large (10000×7000 pixels). The bottom two pictures are enlargements of the original. Of course there was also a bit of clean-up work involved removing disturbing dust and to brighten the background. 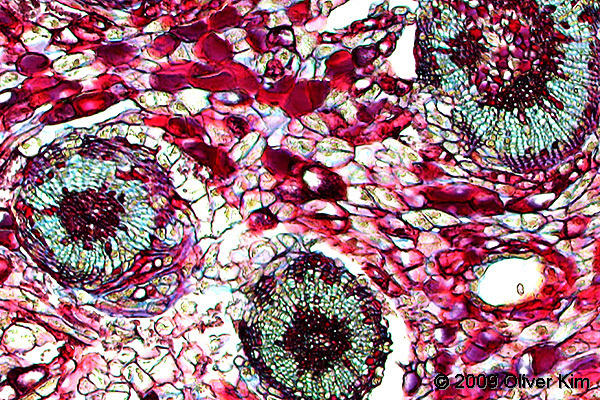 Most pine trees carry male and female cones (monoecious), only few carry cones of only one type (sub-dioecious). Each pine cone has scales, each scale (if fertilized) is able to carry two seeds. 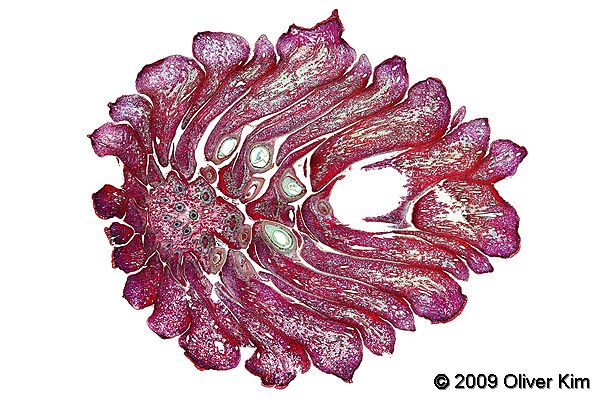 Some scales (those at the tip of the cone) are sterile and smaller and do not produce seeds.